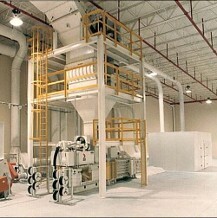 Spinnaker is a leader in the design and fabrication of pneumatic waste conveying and dust control systems. From a small core cutter to complete plant wide systems, Spinnaker provides innovative, energy saving, cost effective solutions to your trim, waste, dust, and air management challenges. Good trim and waste removal starts at the intake(s). We custom design every intake to match the application and provide the ideal balance of material, air velocity & volume. 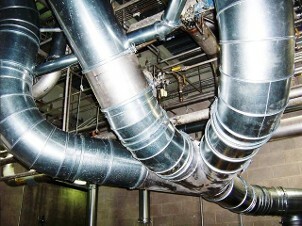 QuickClamp ductwork by Nordfab assembles easily for an air tight fit. 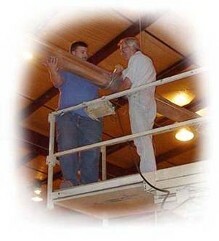 To clear a blockage requires the mere release of the QuickClamp to gain access to the duct. 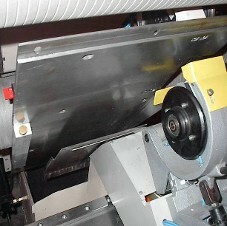 Spinnaker winder systems for 2-drum and single drum winders provide the maximum performance for high speeds. Available in venturi and material handling fan systems. 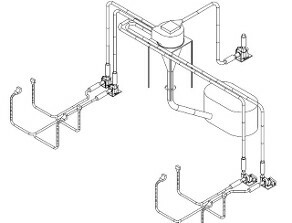 Cyclone, curved-back and slant-back separators safely and effeciently separate the motive air from the trim or other waste so that each can be managed effectively. 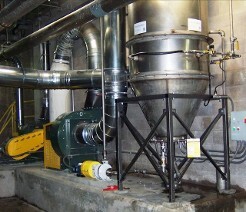 From cost effective dust-bag manifolds to large scale bag houses and filtering systems, Spinnaker & AirTrim can help you manage your plant's air quality. 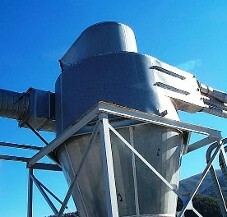 Innovative systems to capture, remove and clean excess air in pulpers to reduce dusting, air-blown errant waste pieces, and improve air quality. 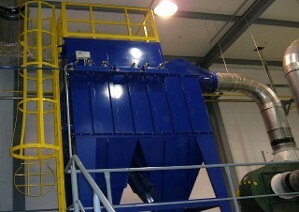 Turn to Spinnaker for plant-wide waste management and air quality control systems.